The relationship between people and their surroundings is complex inspiring many through the ages; for example, John Everett Millais’ interpretation of Ophelia where he highlights the ecological cycle of death and decay in his hyper-detailed portrait of the Shakespearean character moments before her drowning. The Pre-Raphaelite artist weaves emotional references from the narrative into the painting, depicting symbolic flora such as daisies for innocence, nettles for pain, and poppies for death. 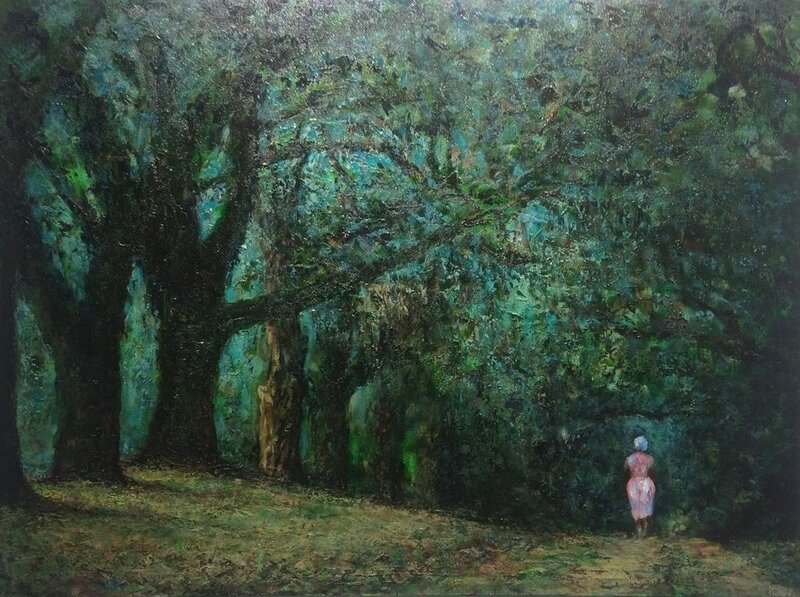 Perceptions: The World Around Us explores how South Carolinian artists examine the connection between the Palmetto State’s diverse ecology and its equally varied inhabitants, through a range of mediums and subjects. 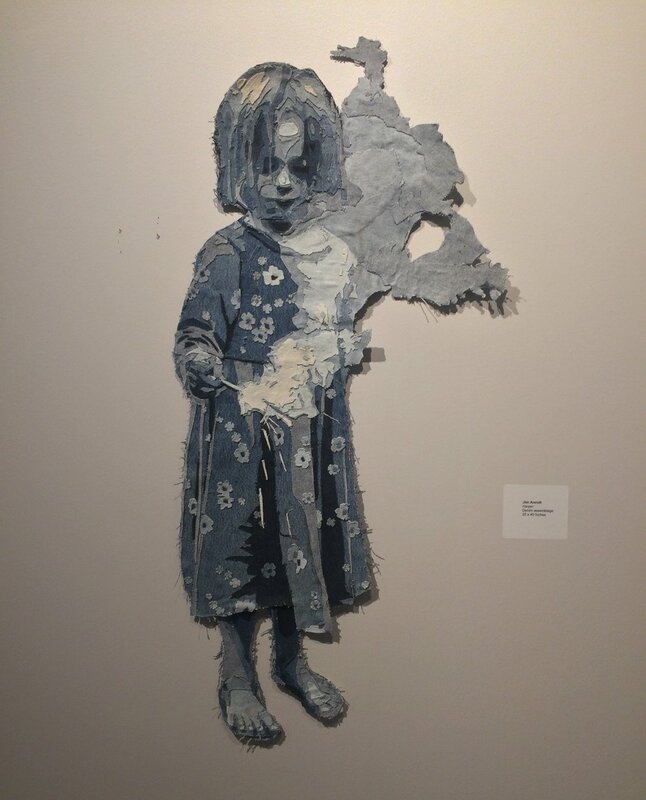 The artists include Nina Garner, Jim Arendt, Cody Unkart, Betsy Havens, Rob Shaw, and Steven Whetstone. Garner utilizes organic materials from her surroundings, incorporating residue from her daily routine into her assemblages. Beginning with vintage book covers, she collages seeds, grasses, and other natural specimens over coffee-stained photographs of familiar subjects she shot around remote South Carolina. These intimate constructs capture her interpretation of the low country, offering a window into rustic Charleston lifestyle. Incorporating materials from the landscape mirrors the practice of fellow assemblage artist Arendt. Indigo has been a facet of South Carolina’s economy since Eliza Lucas first successfully cultivated the crop in 1792, and remains an inherent and important part of the landscape, contributing to the state’s $41.7 billion agribusiness industry. Arendt employs this paramount aspect of South Carolinian ecology using indigo dyes for his denim composites. Though his pieces may not depict a landscape scene, the work is tied to the artist’s environment as he is inspired by the working class uniform of farmers and mechanics - who tend the rural landscape - that often contains elements of jean. 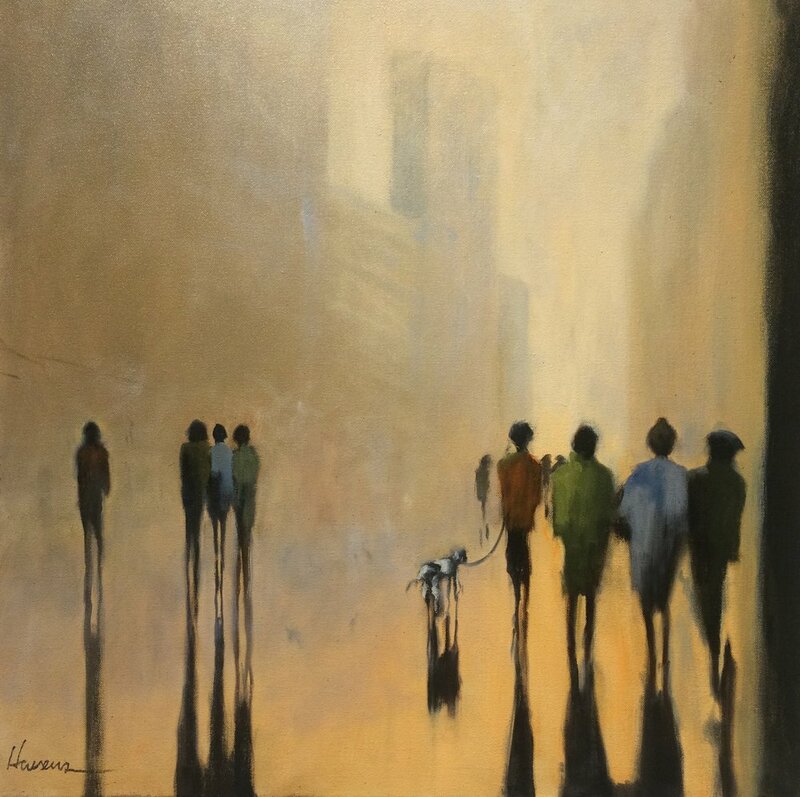 His contemporary subject matter relates to Betsy Havens’ anthropomorphic subjects. Havens brings figures and settings together in the urban environs of South Carolina. She presents loose, shadowy figures blending into the cityscape, conveying the emotional disconnect that occurs in a larger city. This melancholic aspect echoes the aforementioned piece by Millais, as they both incorporate an uneasy, yet calm, stillness. This metropolitan perception of the relationship between the landscape and its inhabitants offers a stark contrast to the rural subject matter of Whetstone. 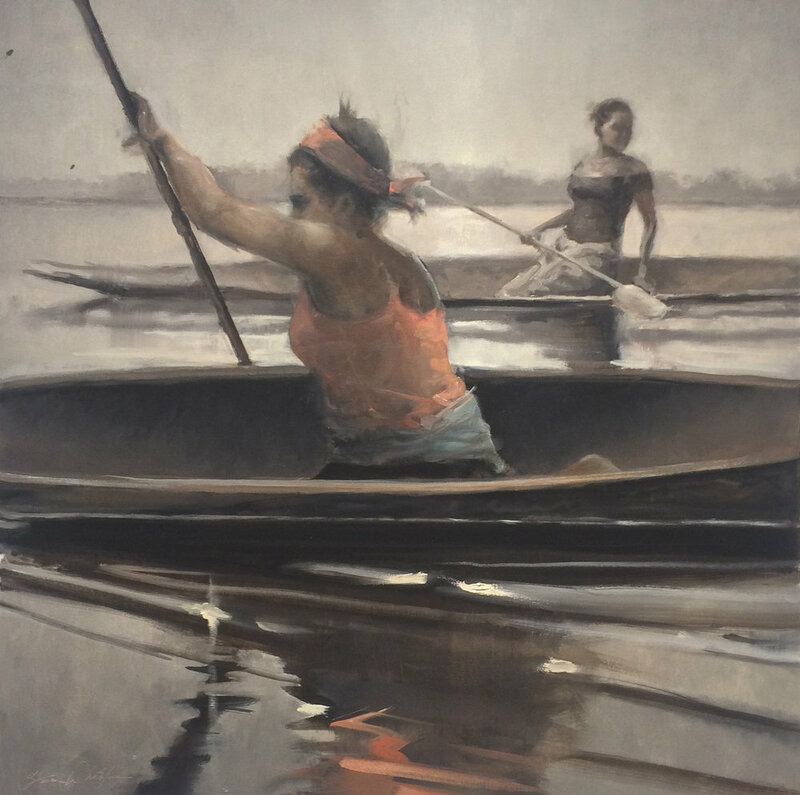 Inspired by the multitude of rivers running through South Carolina and their influence on the local lifestyle, Whetstone portrays scenes of people interacting with their rural environment, representing both the recreational and economic activities. His portraits afford an escape from the bustle of the capital city, where the artist resides, into the slow pace of the countryside. Shaw’s scenes of relaxing outdoor settings also evoke a calm conjuring associations of hazy summer days. He emphasizes the setting, rather than figure, to convey the power of the landscape. There is a mystical quality that transports viewers back to the place itself. Shaw’s bright pallet aligns his painting to Unkart’s work. Unkart tends to portray his familiar subjects within settings that are relevant to the sitter. Highlighting the personal relationship to his subjects is an intense and specific color range that relate to his emotional status with each figure, for example bright colors to reflect strong, personal connections. As opposed to focusing on the landscapes, Unkart emphasizes the intimate relationship between artist and subject portraying the powerful bond between grandmother and grandchild. His work is deeply personal giving the viewers an intimate snapshot of those he holds close. The connection between inhabitant and environment is intricate, and can be conveyed in various ways; from using the materials of the landscape, to depicting the surroundings themselves, and incorporating the environment as merely a backdrop. 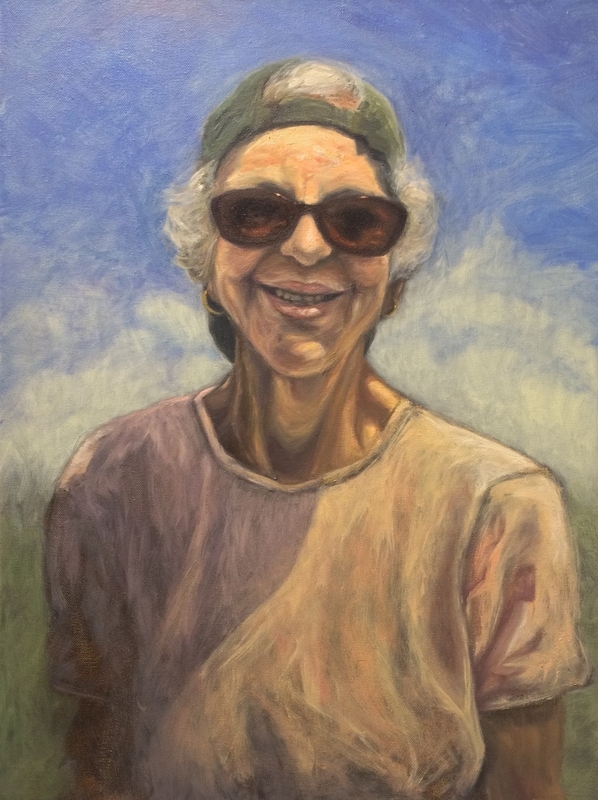 Perceptions: The World Around Us represents a cross-section of South Carolina and its inhabitants and though their practices are diverse, each artist portrays the theme in a thoughtful manner. Portrayed by participating artists, the Palmetto State’s ecology is as various as the ways people interact with it. Exhibiting Artists: Nina Garner, Jim Arendt, Cody Unkart, Betsy Havens, Rob Shaw, and Steven Whetstone.